Doctors and scientists alike have always been fascinated with blood. The thin red, water-based fluid can easily determine life or death in humans. How can such a simple concept bare such significance? From the world’s earliest shamans and medicine men to lecturers in modern-day phlebotomy classes, researchers have sought to delve into the mysteries surrounding life’s second-most precious liquid. In phlebotomy classes around the country, students learn about the biological processes that ultimately result in the creation of blood. For students in places like Van Nuys, Calif., this knowledge finds a direct application in the plasma donation centers and blood drives where they begin their career. The human body is full of fascinating processes—the creation of blood is only one of many. Most parts of the human body are not capable of regeneration. For instance, it is impossible for people in Van Nuys to grow new spinal tissue. However, other parts of the body do experience regeneration—blood fits into that category. As long as you are alive, your body is producing new blood cells. As students learn in phlebotomy classes in Van Nuys, blood consists of two primary elements: plasma and platelets. Plasma is a clear liquid that courses through the veins. It makes up a little more than half of blood’s ingredients. 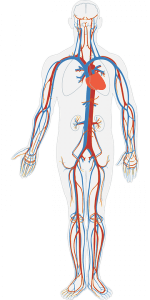 Composed primarily of water and salts, it carries platelets throughout the circulatory system. Platelets—small, disc-shaped cells—float along in the plasma. Depending on the type of cell, platelets are either responsible for fighting blood-borne pathogens or carrying essential oxygen to the body’s organs. Red blood cells carrying oxygen make up 99 percent of platelets. White blood cells are the larger of the two cells, attacking diseases and keeping the body healthy. The plasma creation process begins when the body absorbs water through the digestive tract. As opposed to the plasma formation process, platelets are born deep in the body. On the interior of human bones are composed of bone marrow. Bone marrow stem cells differentiate into all formed elements of blood, including red blood cells. The new red blood cells then make their way into the bloodstream, joining their older brethren. Human bone marrow stem cells create two million red blood cells a second. Red blood cells, after separating from erythroblasts in the bone marrow, enter into the bloodstream and survive in circulation for about 3-1/2 months, though this lifespan can vary between 70 and 140 days. Different estimations of a cell’s lifespan have ranged from 5 to 200 days. Interestingly enough, a person’s health has a lot to do with how long his or her red blood cells survive. For example, the red blood cells of patients on dialysis die live significantly shorter lifespans than the cells of healthy persons (only about 70 days, on average). There is still little information regarding the main causes for the significantly shorter lifespan of the red blood cells in less healthy individuals. Blood cells reach the end of their lifespans in the spleen. Here dead cells are stripped of iron and disintegrated. The body then uses the iron to produce new red blood cells. Phlebotomy classes in Van Nuys and elsewhere help students understand the lifecycle of blood so that they can go on to save lives.